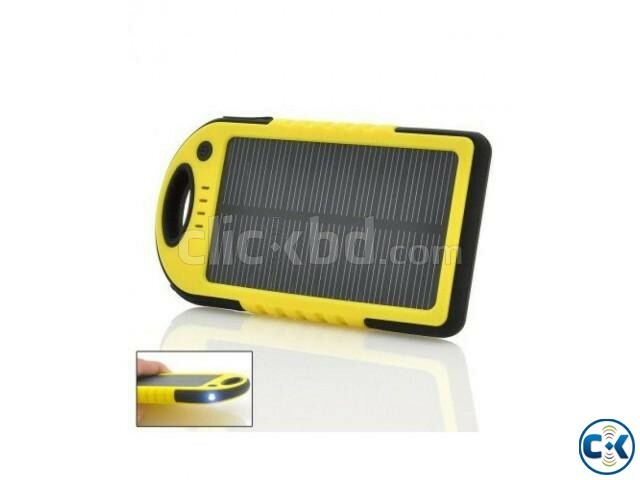 5000Mah Solar Charger Battery USB Power Bank For Mobile. 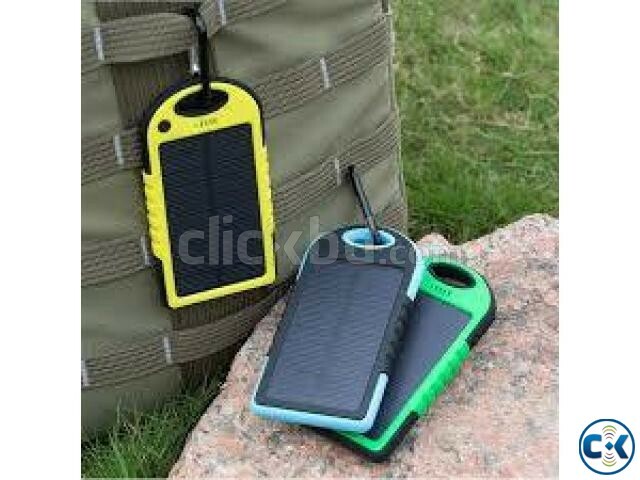 Category: Electronics > Gadgets & Devices > > > 5000Mah Solar Charger Battery USB Power Bank For Mobile. This is Gearonic 5000mAh Portable Shockproof Waterproof Solar Charger Battery Panal Double USB Power Bank for Cell Phone MP3. Charge your devices on-the-go with this portable waterproof solar charger. With a battery capacity of 5000mAh, it can charge your smartphone up to four times depending on the model. With an included snap hook, you can attach this to your backpack when hiking or purse/bag when you're commuting to work. It can be used in any outdoor environment and is perfect for people who love being outdoors. 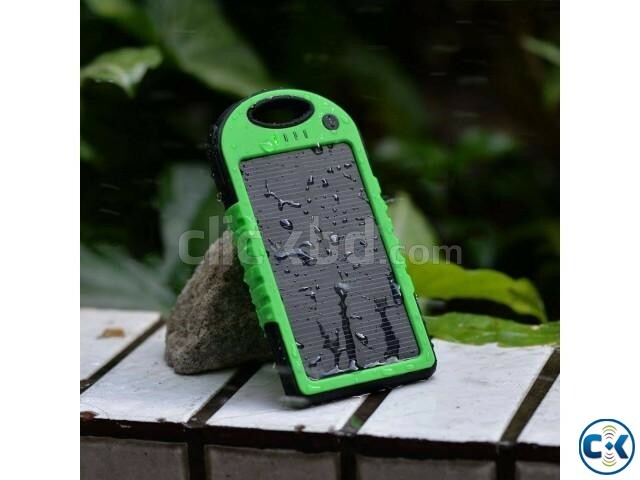 Waterproof, durable, rugged Exterior is made with an easy-grip rubber Package Includes: One (1) 5000mAh solar charger battery panel, one(1) micro USB charger cord, one (1) 30-pin adapter, one (1) snap hook Compatible with cell phone Color options: Green,yellow Model: 5787 ALL Included items: One (1) 5000mAh solar charger battery panel, one(1) micro USB charger cord, one (1) 30-pin adapter, one (1) snap hook Dimensions: 5 inches wide x 3 inches high x 0.5 inches deep Weight: 6 ounces.